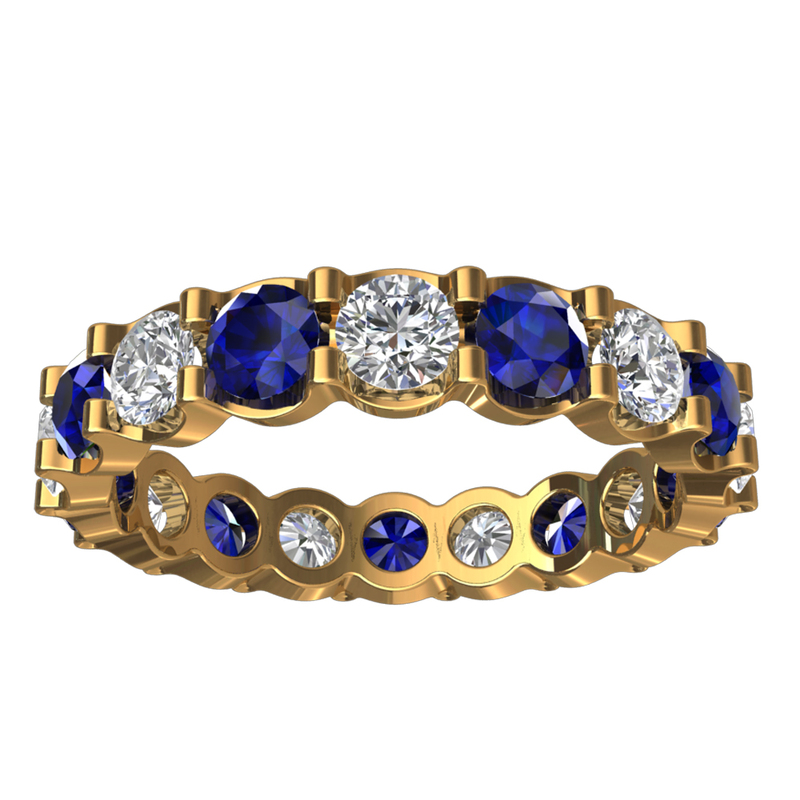 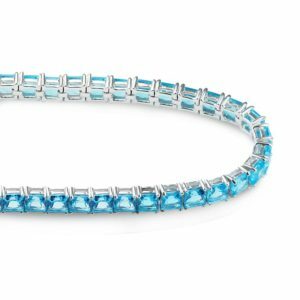 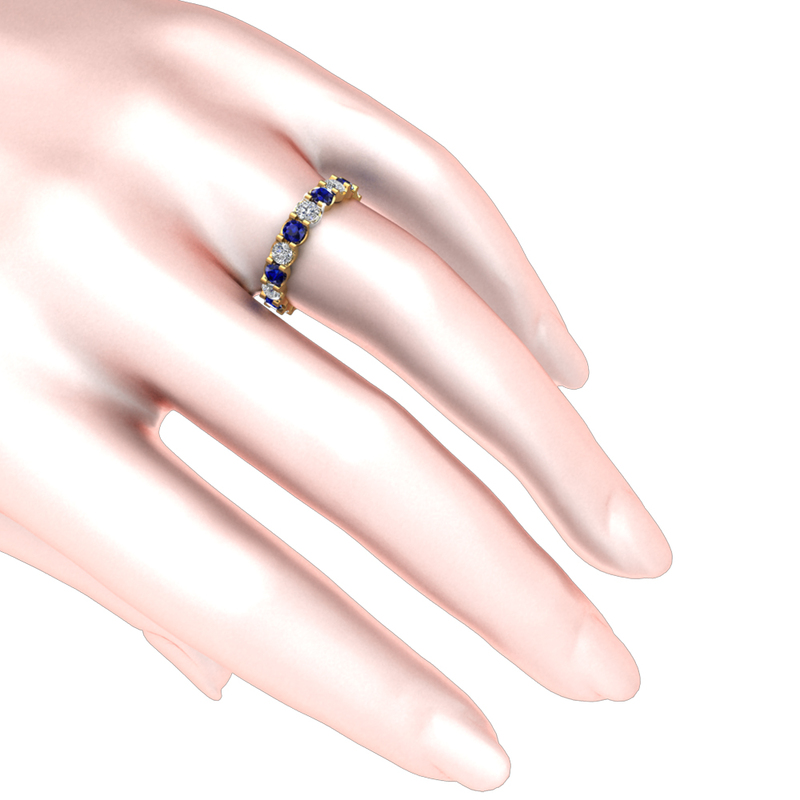 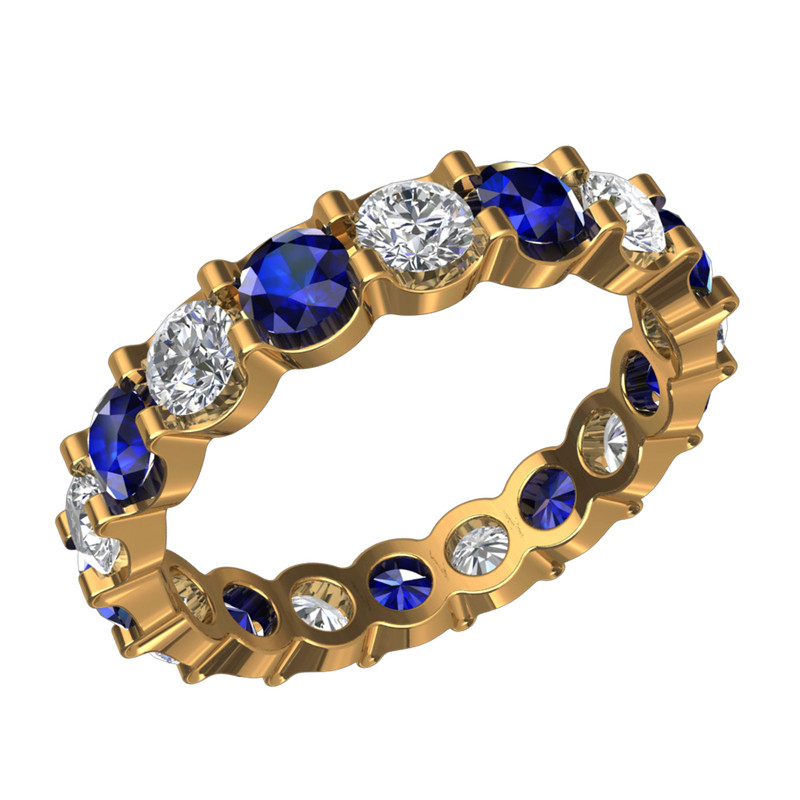 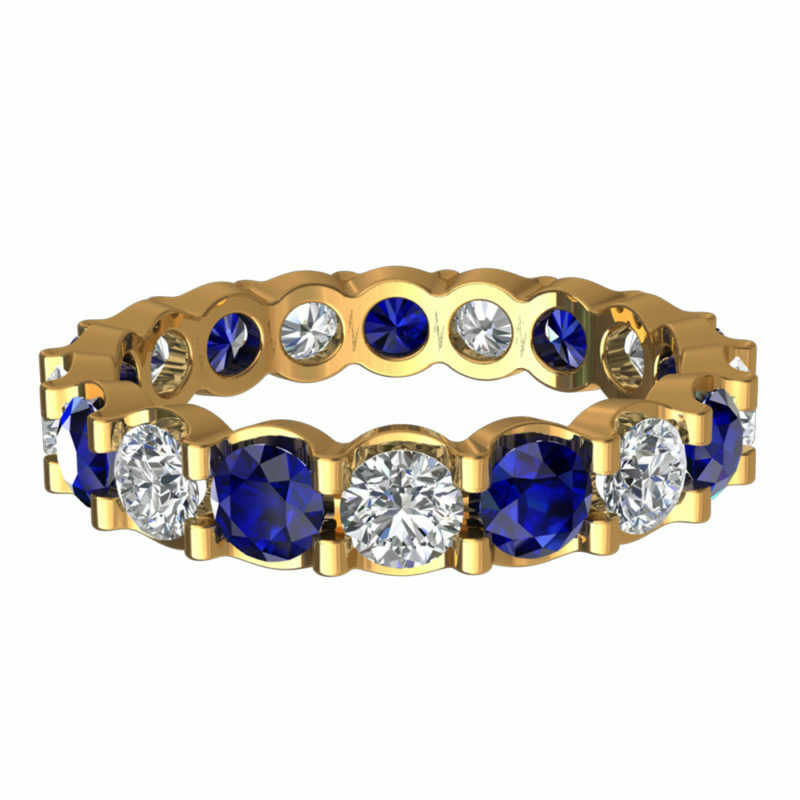 This stunning and lovely eternity ring features 17 gemstones, each 4mm, 9 created blue sapphire and 8 created white sapphire. 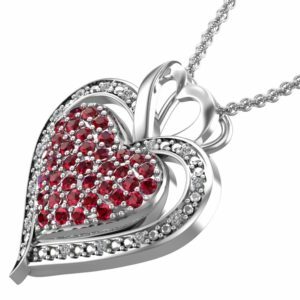 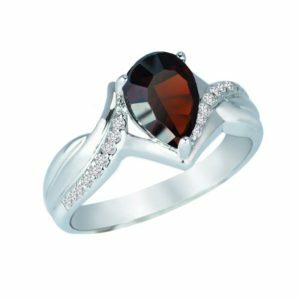 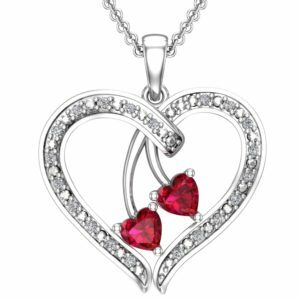 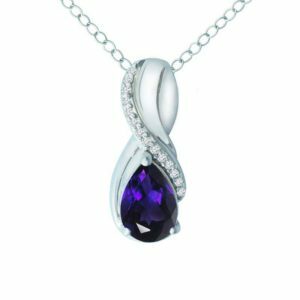 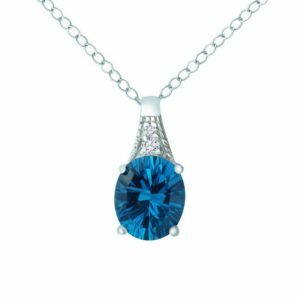 It is made with polished 925 sterling silver making it an excellent gift for any occasion. The .925 sterling silver and gold plated finish makes the item not only fashionable but also durable. 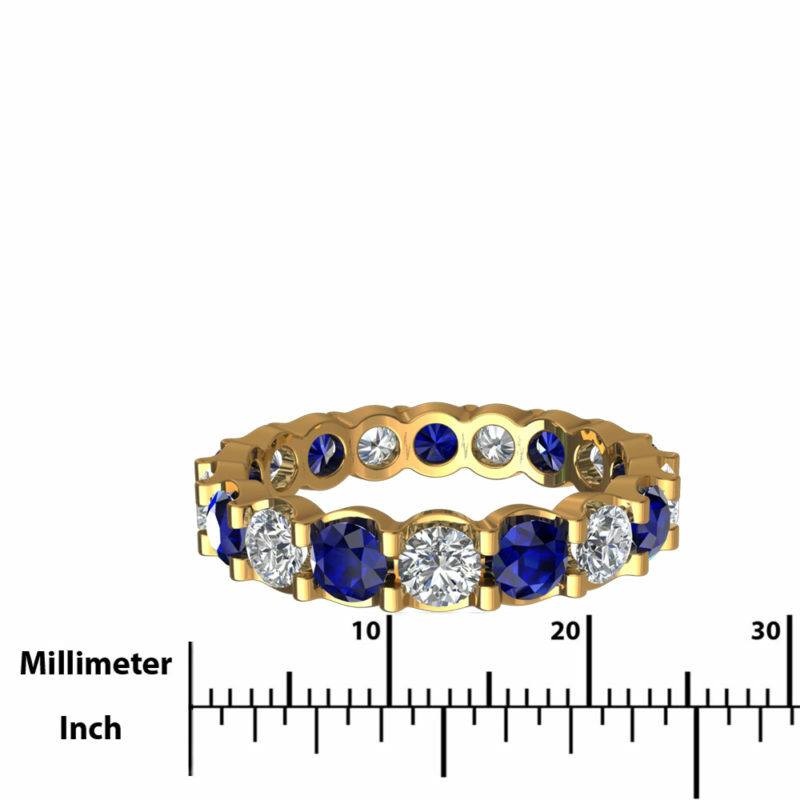 This item has a total ct weight of 5.5.